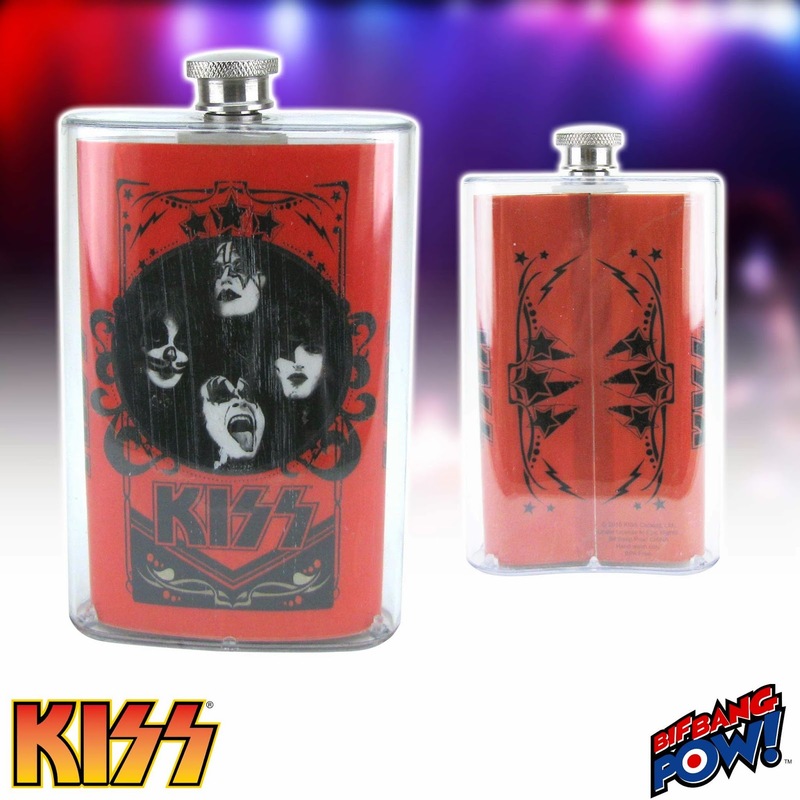 Rock old school style with the New KISS Retro Flask from Bif Bang Pow! 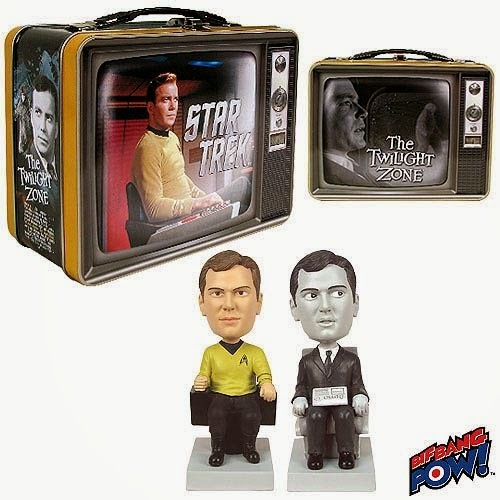 available now for pre-order! What better way to celebrate one of the greatest bands of all time than to carry your favorite beverage around like a rock star using our brand new KISS Retro Flask! This clear- acrylic and stainless steel flask features inlaid printed artwork showcasing all four members of the original band against a dark orange backdrop. The unique artwork pays homage to the retro style 70’s posters from the era KISS originated. This classically designed flask holds 5 ounces of liquid and measures roughly 3-inches wide by 4 3/4-inches tall and 1-inch deep. KISS is a hard rock band founded in New York in the early 1970s. Known for their outrageous makeup and costumes, each member of the band adopted their own unique comic book style persona. However, their unique look isn’t the only thing they’re known for. Since their formation, KISS has put on very extravagant live performances that include fire breathing, blood spitting, levitating drum kits, rockets and other crowd-pleasing pyrotechnics.